Mid-Life Crisis: Facelift or Tattoo? Tomorrow is the annual day of dread in my world. Yes, it’s my birthday. So many of you are so very nice to me on this day. Lots of you send me emails and cards and social media greetings too. My husband usually gets me something that I tell him I want. I’d love for him to actually get me something I want without being told, just because he knows me so well after decades of togetherness, but on the big day, the important thing is the remembrance, right? My kids are nice while I’m opening my present(s); I think they expect there will be a little something in it for them too, but don’t tell them I said so. But last year and this have felt like ginormous milestones. Last year I suppose can be counted as a ‘mid-life crisis year.’ I got the car I had secretly desired for more than a decade. It’s been tough to swallow the hit it took on our pocketbooks, but I love love love my car. I never want another. When there are no sweaty teens contaminating the new car smell of my vehicle, it still smells like – a new car. Smells are very important to me; I have a nose like a wolf. So I guess the ongoing fleeting happiness that driving this car brings (and I drive a LOT – at least an hour every weekday) and the quasi-new car smell were worth the cost. This year, a more drastic step is needed, to match the magnitude of the big day. 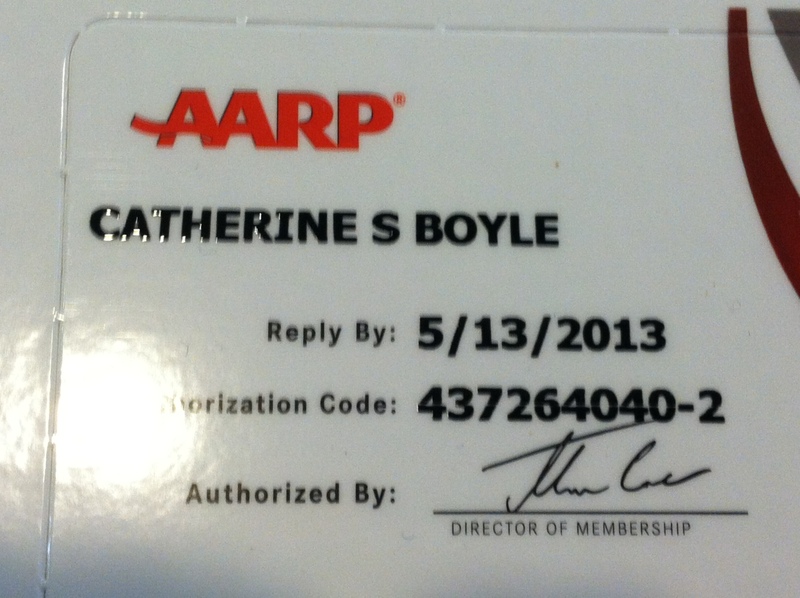 I have a couple of tips for my insurance company and AARP. 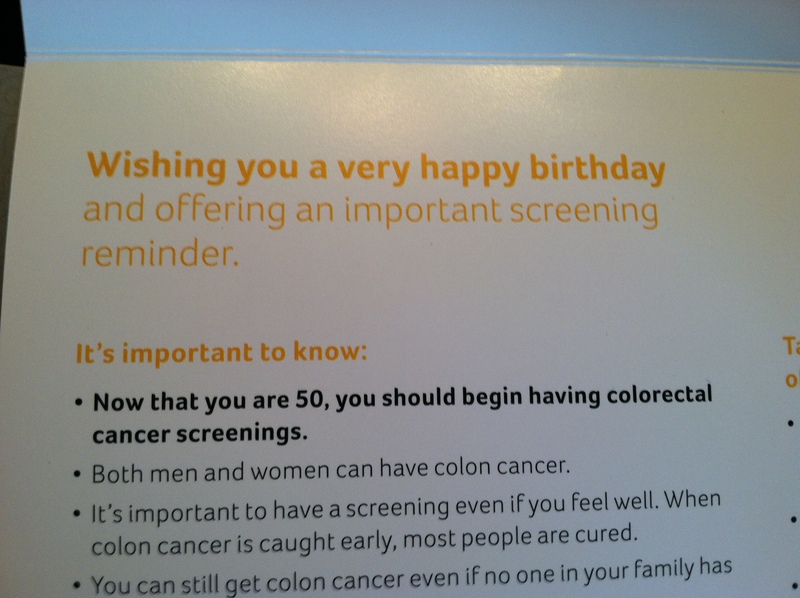 Don’t send me a combination birthday card/plea to join the old age club/infomercial for my need for a colonoscopy. I’m not loving your products or your organization more because you are so very punctual. In fact, I’m pretty much hating your guts for the reminder of my mortality. About 3 years ago, my precious daughter announced that I didn’t need a facelift – yet. I tweeted this comment, and the Lifestyle Lift people actually started following me on Twitter for a while. But now, with the passage of time, and a surprising lack of new photos of me all over the internet, I confess, it may be time to consider a Lifestyle or full-bore reconstructive surgery or dermatology, all over my person. 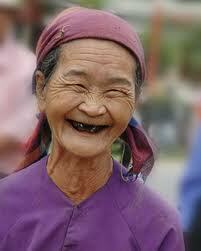 I’d love to hear your suggestions as to what I should do to celebrate the big day: facelift or tattoo. 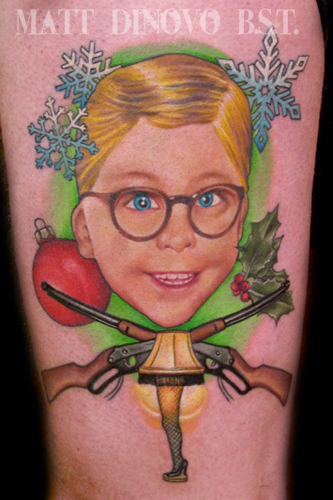 I’ve selected a tattoo that is dignified and subtle, and commemorates something I have enjoyed for many years. Let me know which gets your vote. And if you choose the tattoo, where do you think it should go? Bikini accent (large scale midriff tattoo), gun show accent (biceps) or hidden from public view?